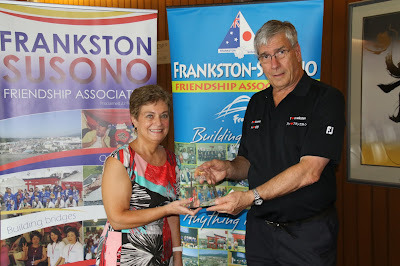 On Wednesday 20 December, Sister Cities Australia Executive Committee member Christina Despoteris presented Frankston Mayor Colin Hampton and Frankston Susono Friendship Association (FSFA) Chairperson Peter Patterson with the 2017 National Award for Community Involvement at the Frankston Council Chambers. 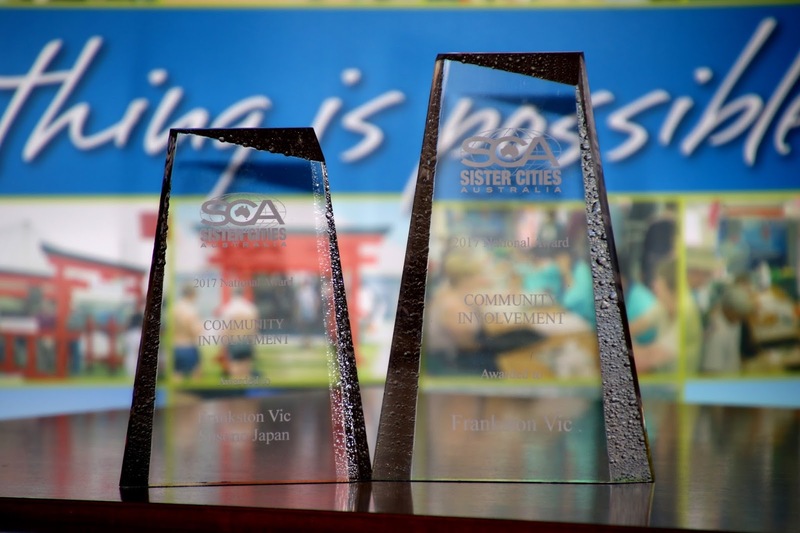 The award application was based on FSFA's hugely successful 2016 Japanese Festival held at Frankston High School's Senior Campus on Sunday 17 April. The Festival celebrated the visit of the Susono City delegation led by Mayor Kenji Takamura. 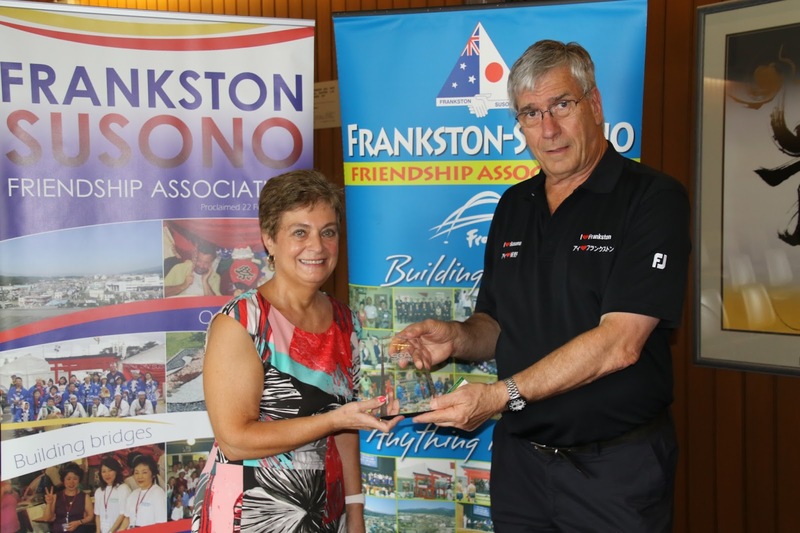 Christina Despoteris expressed appreciation to the City of Frankston and members of FSFA for all their efforts supporting and fostering the relationship between the sister cities over more than 35 years. Events such as the Japanese Festival serve to strengthen the involvement of the local community and promote friendship and an increased global awareness among the citizens of Frankston and Susono. Mayor Colin Hampton expressed his gratitude for the work undertaken by the small group of dedicated community volunteers who manage the sister city relationship on behalf of the City of Frankston. He spoke of his own travels to Japan with delegations from Frankston and the warm and lasting bonds of friendship created during such visits. FSFA Chairperson Peter Patterson endorsed the Mayor's comments and also acknowledged the great passion, enthusiasm and effort contributed by the volunteer citizens who work together to run the sister city association. Peter also stated that the award presented to the City of Susono would be presented to their Mayor in September 2018 when the FSFA delegation travels to Susono.